If you’ve read Part 1 and Part 2 of this series, you might already be maxing out your company’s match on your 401(k) plan and putting the rest in a Roth IRA. Well, now it’s time we look at something even better… the holy grail of retirement plans – the Roth 401(k)!! Ah, the Roth 401(k) – that elusive unicorn… I know you’re out there somewhere! 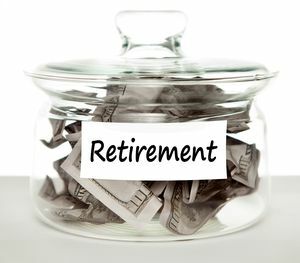 I’m still waiting to see the Roth 401(k) become available at my company, but that doesn’t mean it’s not out there. These retirement plans are starting to become more prevalent at a lot more companies. Many companies are also allowing their employees to choose between a traditional 401(k) or a Roth 401(k). So what is a Roth 401(k) and why would I want one? Like a Roth IRA, you’re contributing to a Roth 401(k) using dollars that have already been taxed. That means you aren’t taxed on your withdrawals. Basically, it’s a little more of “what you see is what you get” when looking at your balance. Your 401(k) plan has a contribution limit ($18,000 in 2015 if you’re under 50). This is a total contribution limit – if you have both a regular and Roth 401(k) plan, your total contribution between the two cannot go over the limit. With a regular 401(k), you’re going to be taxed on that contribution money when you withdraw it so your total really isn’t what you think. In other words, it’s like you maybe only gave $13,500 once you figure that taxes are going to be taken out. But with a Roth 401(k), each dollar has already been taxed so it carries a little more weight. If you can max out your 401(k), you’re essentially going to end up with a lot more money in a Roth 401(k). As I mentioned in Part 2 of this series, employer matching is one of the best benefits of 401(k) plans. When you have a Roth 401(k) plan, any match you get is actually done with pre-tax dollars. This means that you will be taxed on the matching dollars when you start your withdrawals. And that can be good if you’re in a lower tax bracket during retirement because you’ll be taxed less than you would have been if you had been taxed on it initially when contributing. However, it’s hard to know for sure if you’re going to be in a higher or lower tax bracket during retirement. So having your main retirement money in the Roth 401(k) using post-tax dollars and the matching money be pre-tax dollars helps to spread things out a little. Additionally, by pulling out some money from both buckets later on, it will help keep your taxable income down and may keep you from moving into a higher tax bracket. Although Roth 401(k) plans are subject to Required Minimum Distributions (RMDs), the distributions should be tax free. Because of that, they should not increase your taxable income. So if you’re trying to stay in a lower tax bracket, a Roth 401(k) can help. 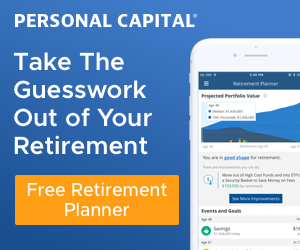 So, over the course of this series of posts, we’ve taken a high-level look at some of the differences between regular 401(k) plans, Roth IRAs and Roth 401(k) plans. To be honest, it’s hard to go wrong with any of them. No matter what, you’re still putting money away for your future. The key is going to be, which one of these will give you the most return on your investment? In my case, I think the Roth mentality is important. If the Roth 401(k) plan were offered at my company, I would jump on it pretty quickly. I would choose that over the regular 401(k) plan if both were offered. However, since a Roth 401(k) is not available to me, I am pushing everything I can to max out the regular 401(k) so I can reap the employer matching benefits. If you remember, I don’t have a cap on the amount I can be matched on, so it’s hard for me not to contribute the max. Then, anything extra I can invest goes into a Roth IRA, so this does get me some tax diversification. If I did have a cap on the employer matching, I’m sure I would max out my Roth IRA and throw in at least enough into my 401(k) to get whatever percent would provide the matching – it would just be a bad idea to leave that free money sitting on the table. What do you think? Do you have a Roth 401(k) at your work? Are you currently pushing a lot of your money into any retirement accounts and which ones? Roth 401ks ARE subject to RMDs, Roth IRAs ARE NOT. See IRS publication 590. Thanks for that update Lar1266! I did indeed verify that on the IRS website (http://www.irs.gov/Retirement-Plans/Retirement-Plans-FAQs-regarding-Required-Minimum-Distributions) and you were spot on! I’ve updated the article accordingly. I’m sorry to hear about the fire, Jacq – that must have been rough. Hopefully everyone was Ok though – things can always be replaced. I hear you on the 401(k) max being a tough goal to hit. I’m in a unique position at my office where there is no max on contributions, so I do everything I can to hit that max. That took me a number of years to get there though… and being a big cheapskate like I am helps as well! 😉 An interesting tax phenomenon happens as well when you contribute to your 401(k). You can actually increase the percent you contribute to your 401 and, because it’s pre-tax dollars, the amount you take home can actually stay at the same amount. There are some calculators out there that can show you the exact percentage you can increase while not affecting your take-home pay. Your plan on pooling money together and contributing to the Roth on a yearly basis is really a good idea – I had never thought of doing something like that. Obviously, you miss out on a little bit of growth over the year, but probably not much and it does still leave you with the emergency fund… very nice!! I’m slowly increasing my 401k contribution %, but the cost of things seems to inch up too (big reason I ditched cable & wanted to buy instead of renting). This company offers HSA and and employee stock purchase plan, so I’ve been “spreading the wealth” as it were. I am a fan of using 401k contribution to lower how much I pay in taxes & it definitely keeps the take home pay close to the same. I’m been rebuilding my emergency fund, (first post fire, then post paying off my car, most recently post down payment for a condo), and once I get that to a level I’m happy with I’ll reconsider upping the 401k. I’m also hoping for a raise to be in the cards next year, a 1% pay increase can go right to 1% more in 401k, but the increase on the match from my employer would be good too! Good to hear that everyone was Ok! I recently found out that my 401(k) plan offered a free service to evaluate all your investments (Roth, HSA, etc.) and provide you with some recommendations based on your goals. I haven’t used it yet, and I’m sure there might be some bias on the actual investments in the plan, but that might be worth checking out to see if yours offers that. They might be able to provide some recommendations on what to contribute the bigger percentages to. Maybe it makes more sense to contribute more to your 401(k) than your Roth or to your HSA or whatever… pretty interesting stuff!